Since the end of the First World War, several definitions have been created and disseminated, accepted and challenged worldwide. 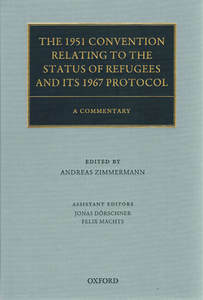 From the UN Convention Relating to the Status of Refugees, to the 1969 Convention Governing the Specific Aspects of Refugee Problems in Africa adopted by the Organization of African Unity, through to vernacular definitions that include environmental and economic refugees. Parallel to the vicissitudes in defining refugees are visual representations of people and experiences associated with displacement and (re)settlement. Following a brief look at legal definitions of refugees over the course of the twentieth century is an exploration of the ​photographic situation of refugeedom, which challenges conventional thinking about humans who are or have been on the move. Early attempts at formulating legal definitions and conventions for refugees emerged out of the population upheaval that resulted from the change in social order following the Great War. These early definitions, from 1921 and 1933, were not legally binding, but provided guidance to states and a degree of protection to refugees. The major distinction between these earlier definitions and that which has become the dominant convention of the twentieth century (created in 1951), is the definition of refugees as identifiable groups of people rather than as individuals. 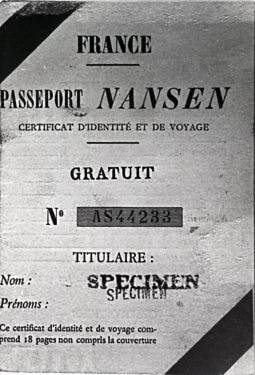 These earlier documents were created many for Russian, Armenian "and assimilated" refugees (http://www.refworld.org/docid/3dd8cf374.html). Legal definitions provide codes and standards of protection and care to refugees. At the same time they become mechanisms of restricting those rights to people who fall outside the limits of term. Can you spot the differences between refugees, or forcibly displaced people? Between internally displaced people, economic migrants, or immigrants? Where do the limits come from? Why do they exist? What are the benefits and drawbacks to these definitions? How can they be justified given these appearances? What ways do photographs impact imagination, understanding and interpretation of refugees and human migration? How do pictures mediate relations and responses to refugeedom? Click here: Visual representations of refugees in Canadian aid efforts abroad.